Are you wondering what Invisalign treatment is really like, and what effect it will have on your day-to-day activities? Will it slur your speech? Will people know you’re in treatment? You’re not alone in your concerns! We thought we’d share this list of questions and answers for anyone thinking about Invisalign treatment at Couser Orthodontics. How exactly does Invisalign work? Using 3-D computer imaging technology, Invisalign creates a series of custom-made, clear aligners exclusively for your teeth, based on the treatment plan that we specify for you. Each aligner moves teeth incrementally and is worn for two weeks, then replaced by the next in the series until the final position is achieved. Aligners should be worn 22hrs per day and night, except when eating, brushing, and flossing. How often must I visit Couser Orthodontics during treatment? For most patients, visits every 8 weeks are frequent enough for us to determine that your treatment is progressing properly. 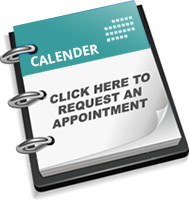 We will provide you with a specific schedule that supports your individual treatment plan.